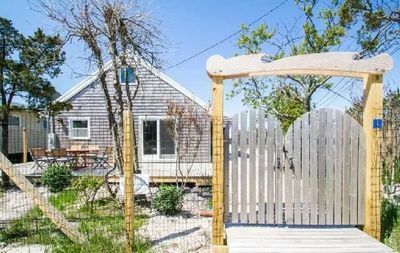 This traditional updated and recently expanded Classic Hampton Saltbox is 3 miles from everything the Hamptons has to offer. 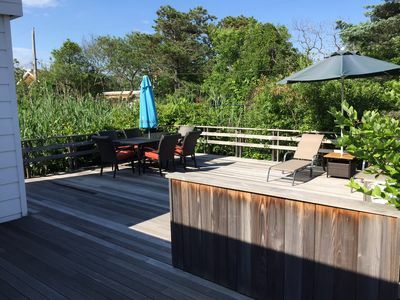 3 miles from the center of East Hampton, Bridgehampton and Sag Harbor Towns. 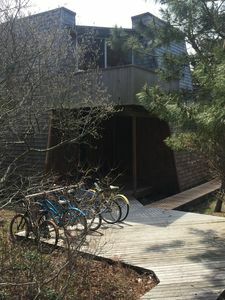 Its is a 5 minute walk to Wainscott Village center that offers Barry's Boot Camp, Main Beach Surf Shop & School, Levain Bakery, Twice Upon A Bagel and many other great shops and only 1.5 mile bike ride to one of the best Beaches in the Hamptons, Beach Lane. Also less than 2 miles from Wolfer Winery. 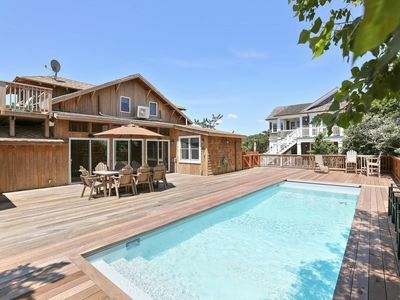 This ideal location offers the best of what the Hamptons has to offer. 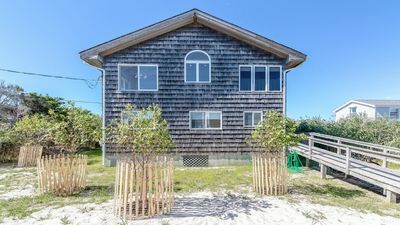 This Five bedroom four and half bath home has plenty of space inside and outside for you and your guests. It is beautifully decorated and in exceptional condition. It rests on a half-acre of land with mahogany and blue stone desk and well appointed gardens. 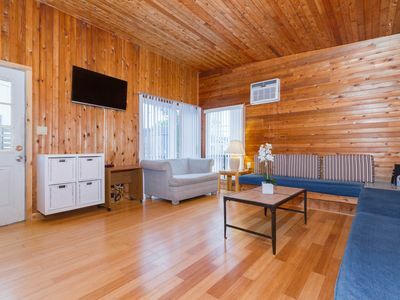 Equipped with heated pool, outdoor shower, outdoor speakers, grill, and basket ball hoop off the side of the house. The backyard is perfect for cooling off on those warm summer days and warming up on those cool summer nights. The Huge eat-in-kitchen has 6 burner Viking stove, 2 Viking Ovens and Bread warmer, granite island, and sitting area with fireplace. 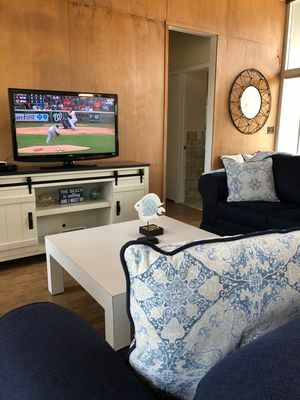 Lots of room for family and friends to enjoy being together. 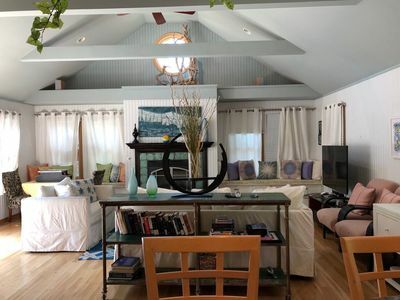 Living room has amazing vaulted ceiling with fireplace and French doors that lead out to the outdoor deck. Dining room has large farm table that sits up to 12 very comfortably. 1.Master Bedroom (King Bed) is on second floor. It is very large with walk in closet. En suite bath with large open shower and separate Jacuzzi tub and private toilet. 3.Guest Room #2 is on second floor. 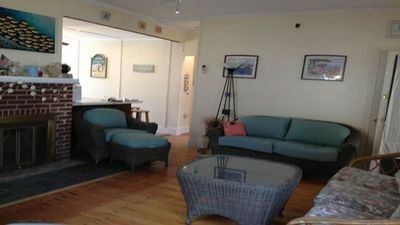 It is large and spacious with 2 twin beds and a very large double door closet. 4.Guest Room #3 is on second floor. 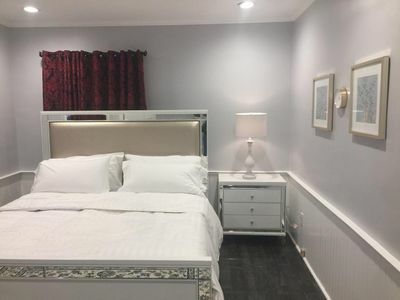 Its is bright and airy with closet and queen bed. 1st Floor: Full Bathroom & shower, off living room and next French doors to outside pool area. easy access for people to use when lounging by the pool. 4th guest bedroom on 1st floor usually uses this bathroom. 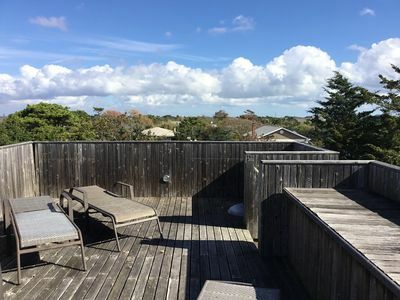 Sun filled backyard has a Mahogany deck and blue-stone patio. Furnished with new Kingsley-Bate Teak & white mesh outdoor furniture. There is Large circular teak dining table with lazy-susan, that sits 10 comfortably, perfect for grilling and eating outdoors. 6 lounge chairs with side table and 3 other large free-standing umbrellas for sun protection. The Pool is over sized 20x40 with brand new heater and pump. The outdoor shower also offers a changing room. * Gas to heat the pool will be an additional charge. The tanks will be full on your arrival. 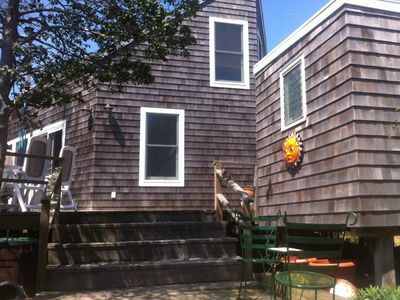 Fire Island: Great big house!! 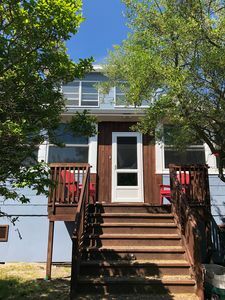 Close to beach and ferry! Ocean Bay Park! 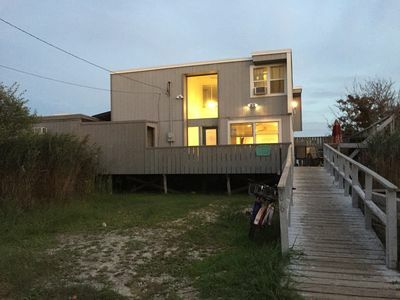 Fun on Fire Island: Large group or small I can fit you all! The Great Escape at a Great Location! Steps to beach. 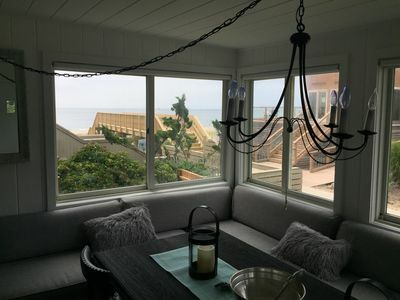 Ocean views. Newly renovated. Bright, open floor plan. 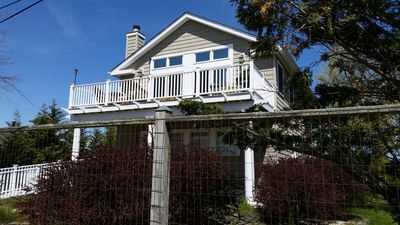 Spacious home w/ outdoor deck & private pool, outdoor shower, ocean views! 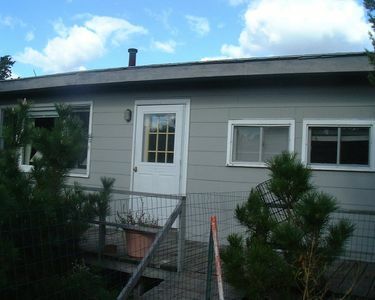 Newly updated home w/ great location spacious living and many outdoor features! 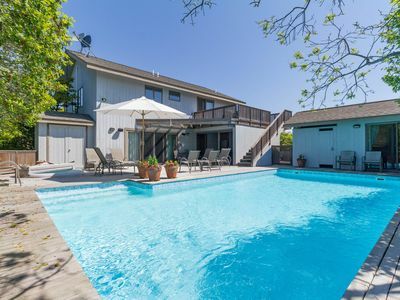 Beautiful home with aprivate pool and hot tub, minutes from the beach! 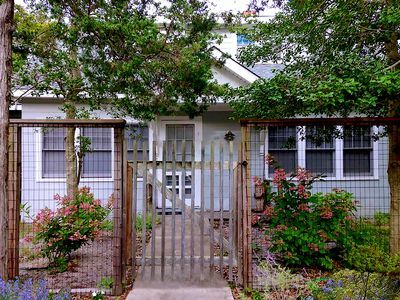 Bright home w/ private pool, beautiful outdoor area, and family friendly spaces!